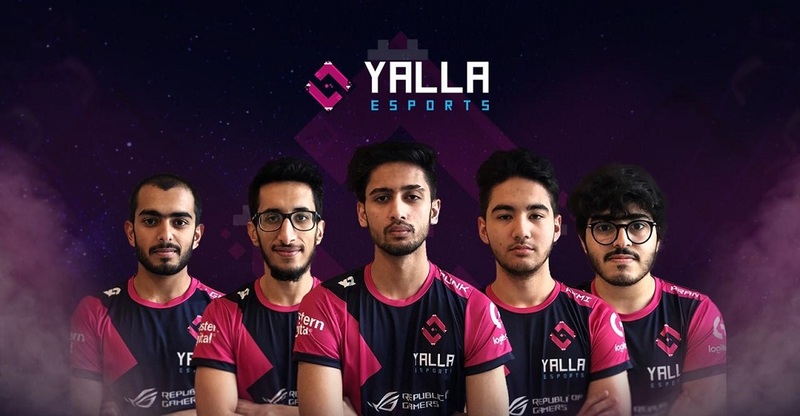 Dubai-based esports team ‘Yalla Esports’ has raised seed funding from a group of investors led by well-known angel investor Kushah Shah. Yalla Esports did not disclose the size of investment but has told MENAbytes that it is a six-figure (US Dollar) round. Founded in 2016 by Klaus Kajetski, Yalla Esports claims to have grown itself into a globally recognized team and now has players and staff from different nationalities including UAE, Saudi, Egypt, and Tunisia. We could not confirm but it seems that it is the first esports team from the region to have raised an investment. It is not as rare in the West though where many esports teams have been able to attract VC money. According to some estimates, the esports industry is expected to exceed $1.6 billion by 2021. The dynamics of an esports team are pretty similar to those of traditional sports club teams (EPL, La Liga, NFL, NBA and more), in terms of practicing for tournaments, participating in competitions all across the world, team management, fan base, and even the business model. Just like traditional teams, they also rely on sponsorships as their main source of revenue with media rights, merchandise, appearances, and influencer marketing also bringing in some money. Yalla Esports counts Asus Republic of Gamers, Logitech G and Western Digital among its sponsors. One thing that’s different with esports team, however, is that they play multiple titles. In Yalla Esports’ case, the titles are Hearthstone, Call of Duty, and Fortnite. Most of the esports players in the region including those who are playing for Yalla Esports are still not doing it full time, Klaus Kajetski told MENAbytes, adding that the intention is to have them full time eventually. Currently, the players are paid small salaries and some incentives. Some also make money with streaming. Yalla Esports in its three years of time has had a fair bit of success with one of their players, Mazen Aklian, winning the WESG Asia Pacific Championship in Hearthstone in 2017. Yalla Esports is also supporting Adam Ajaj, who they claim to be one of the most successful Fortnite players in the Arab world, with his partner Patrick Heiberg. Mishal Alireza, another investor who participated in the round, said, “Video gaming and esports represent a fundamental paradigm shift in how people use entertainment and technology to interact and compete with each other. They are certainly a disruptive force in the traditional media and tech industries that are here to stay. “We are all excited for Yalla Esports to be a pioneer in this space and to represent our region on the global stage. We are also excited not just for the players who will compete, but for the jobs we hope to create locally for all those who are interested in working in the space or learning what the Esports world is about. This is a team after all, with the full supporting cast behind it,” he added. The startup (if we may call it that?) said that it plans to use the investment to search and develop the best talent in the region, help them with great team facilities and travel costs to take part in global competitions, and for expansion all across the region. Yalla Esports also aims to hire people on the management side to support their growth. Late last month, GBarena, another esports startup from the region, had also raised six-figure seed funding.